Pockets app Recharge offer – Icici Bank of India is offering flat 10% Cashback on Recharges of all operators. This offer for only on mobile recharges. 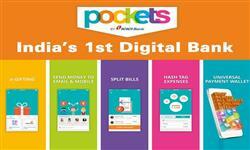 Pockets app is working for all bank customers not for only icici bank customers. Anyone get this offer It’s doesn’t matter you are new or Old Pockets user. You can get upto Rs. 50 Cashback in this offer till 26/2/2019. For getting this offer you must apply promo code of icici pockets app.How to get this Pockets Deal ? Follow steps. Update :- New Code added. First of all , Download Pockets app. Register or login in app. Click on Recharges, and initiate a recharges of Rs. 100 or more. And Pay using pocket app wallet or any payment method. Check Also Regular Updated Pockets by icici bank app offer. This offer is valid on Successful Mobile Recharges. Coupon can be work only inside Mobile recharge section of Pockets app. For getting 50 Rs Cashback , User must be Apply promo code. Valid for only android users. 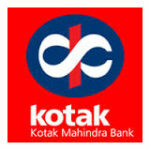 Minimum Transaction amount of this offer is Rs. 100 or more. Working 1 Time per user within Offer period.. Maximum Cashback is Rs. 50 during this offer period. Offer is valid for First 5,000 customers who make transaction through this promo code during offer period. Cashback is credited within 5 days of transaction. Not valid on Airtel network. You can check offer source also by Open App Menu > Offers > Inapp online offer > Scroll down , You”ll see all live offers of pockets app.